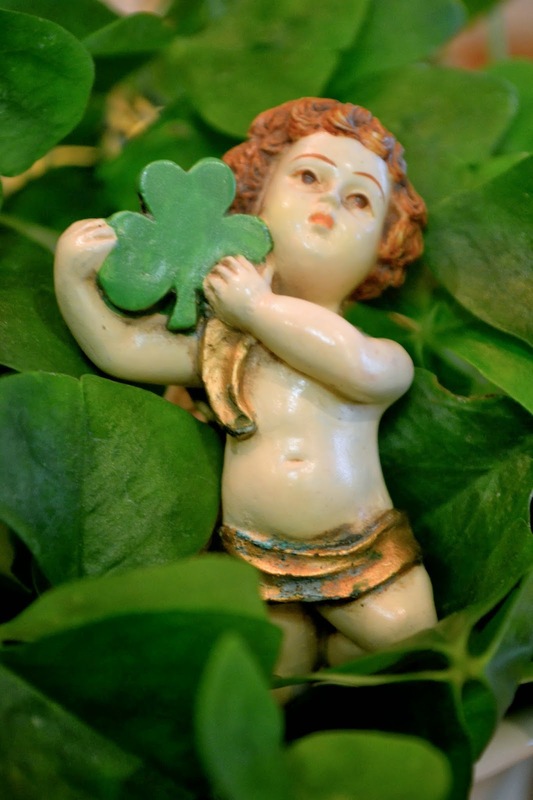 I hope your St. Patrick’s Day was filled with the luck of the Irish, finding four-leaf clover for good luck and of course a few pots of gold at the end of a rainbow! After my long and busy day I used a Ralph Lauren tea set to set a tray for one. Needing a little down time I added a magazine to enjoy with a few vintage cards from my collection. The Irish Linen napkin I bought in Dublin along with the Irish coasters. When I travel I love to bring home souvenirs I’ll actually use. Using my sweet souvenirs brings back wonderful memories of my travel adventures. 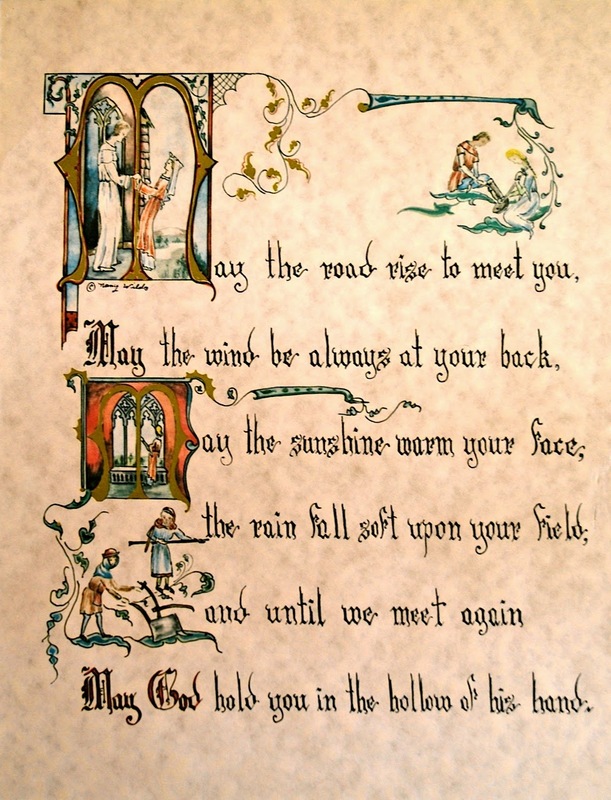 Irish Blessings to make you smile! Thanks for your visit. 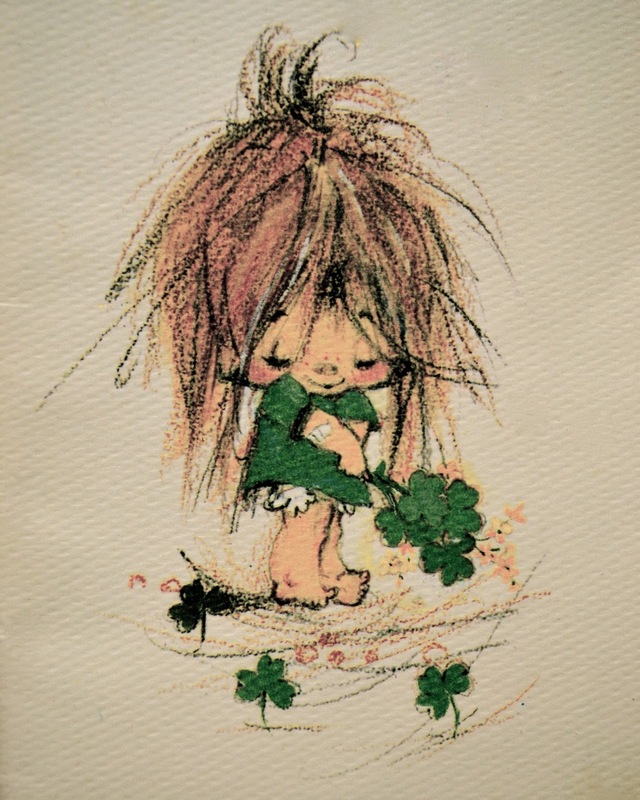 I hope you’ve had a wonderful and Happy St. Patrick’s Day. Love the post cards and the tea set is beautiful. 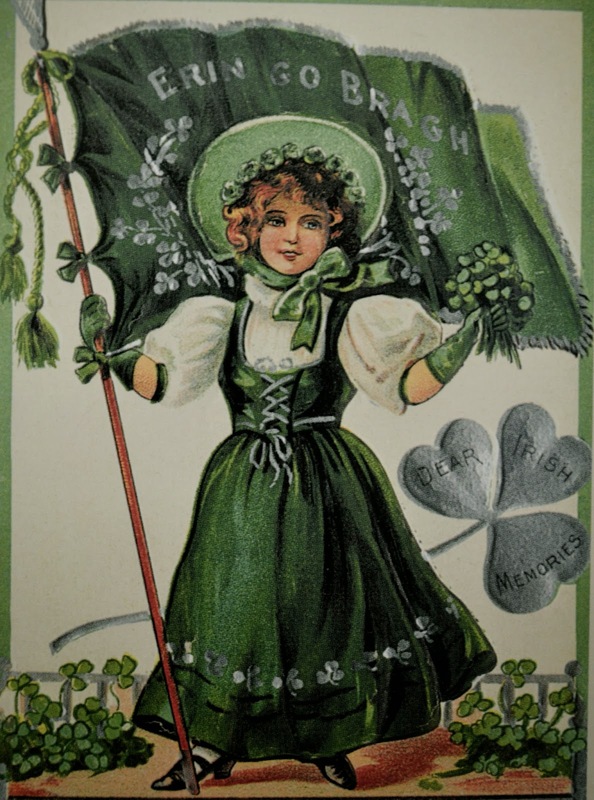 Had a great St, Patrick's Day - the corned beef and cabbage was great. Those cookies sure look good. 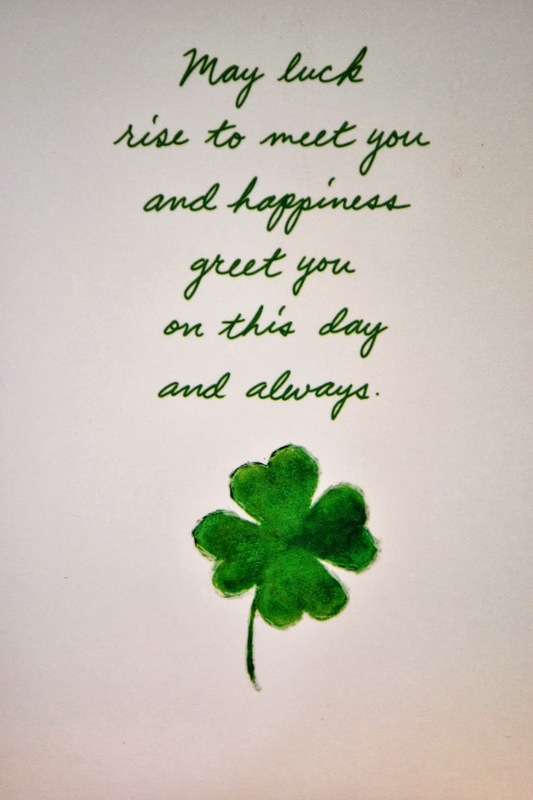 What an incredibly beautiful St. Patrick's Day post! 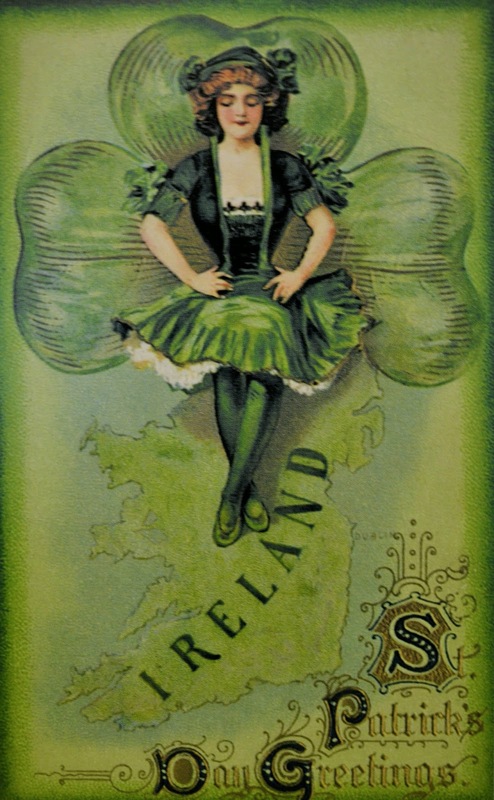 I love the postcards -- I collect old postcards, but St. Paddy's day is lagging! Gives me something to look for! And your tea set is wonderful. Happy day! The post cards are so pretty...especially the one with the pipes. Cookies look yummy, too! Hope you had a great SPD. 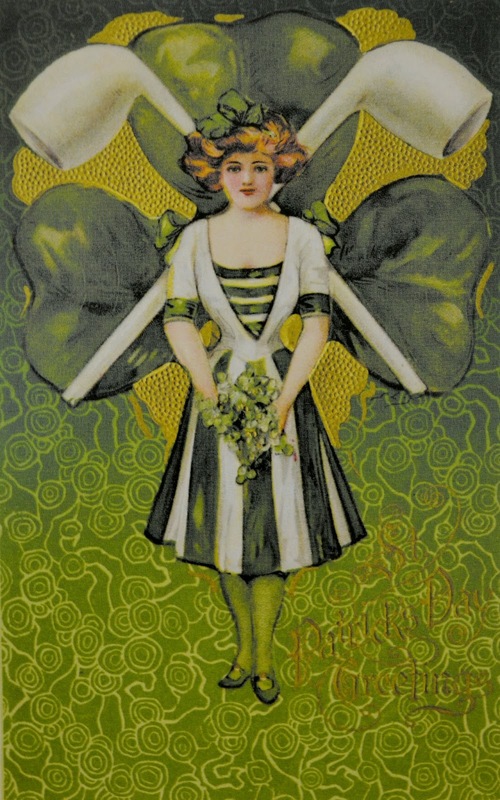 Your vintage post cards are gorgeous. But I love the pretty tea set even more. What a beauty. 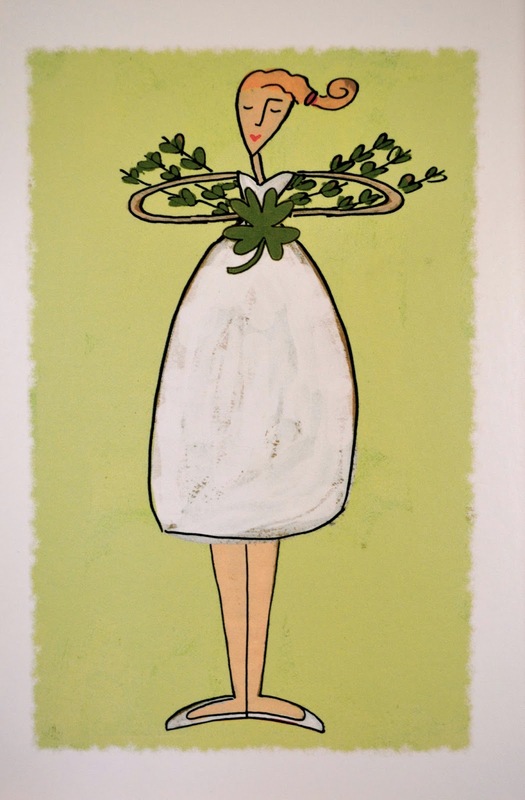 I love your vintage cards and the teapot and dishes. I'm also a fan of the song "Orinoco flow" that plays on your blog! Lovely post, and the card your sister sent you is precious. I love this Emily!! 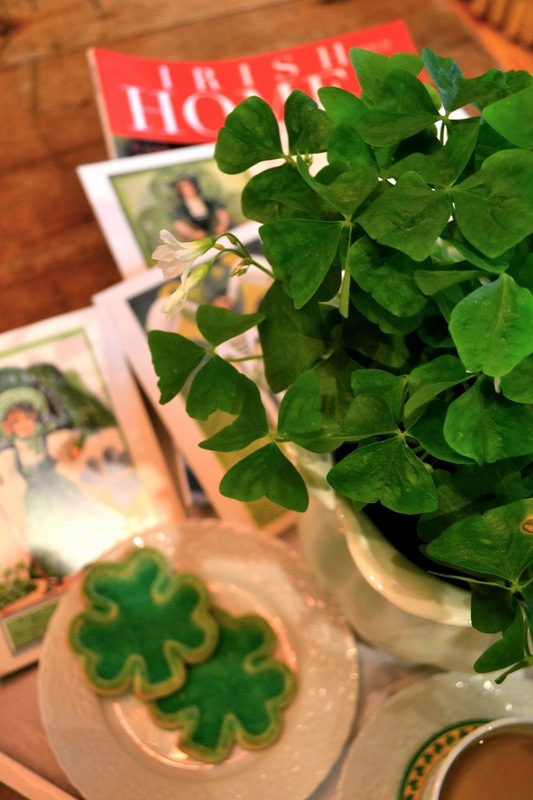 All your vintage cards are beautiful~and I always love reading the Irish blessings, especially the "may the rose rise to meet you..." and what a lovely idea to treat yourself to an elegant tea! How pretty! I think Ireland is the next big trip I would like to take someday! Emily, This is a delightful post. 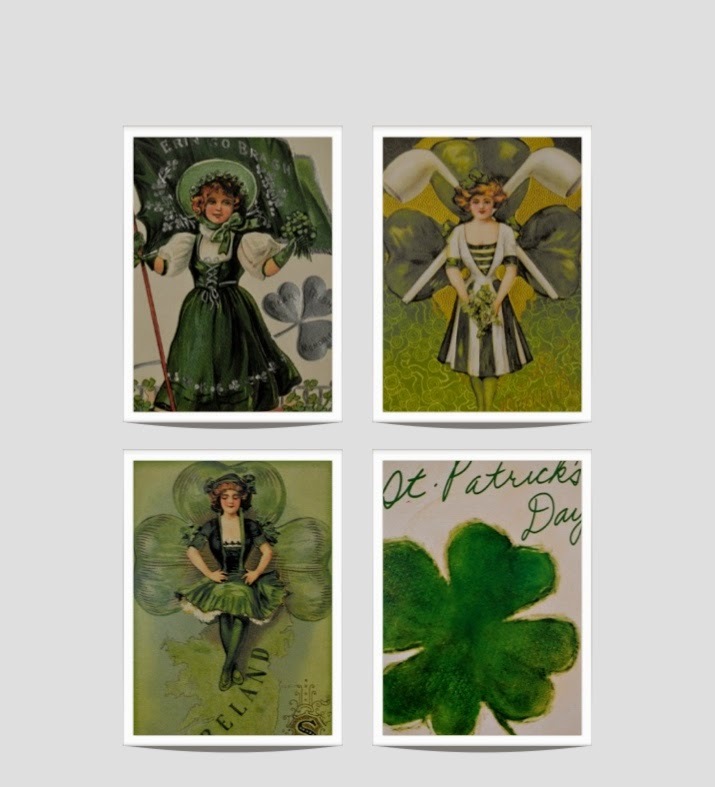 Your vintage cards are a treasure as is your lovely tea set. I haven't seen Irish Homes magazine. I've seen it's sister publication English Homes. Their covers look similar. How special you have visited Ireland. I am dreaming of a trip there. 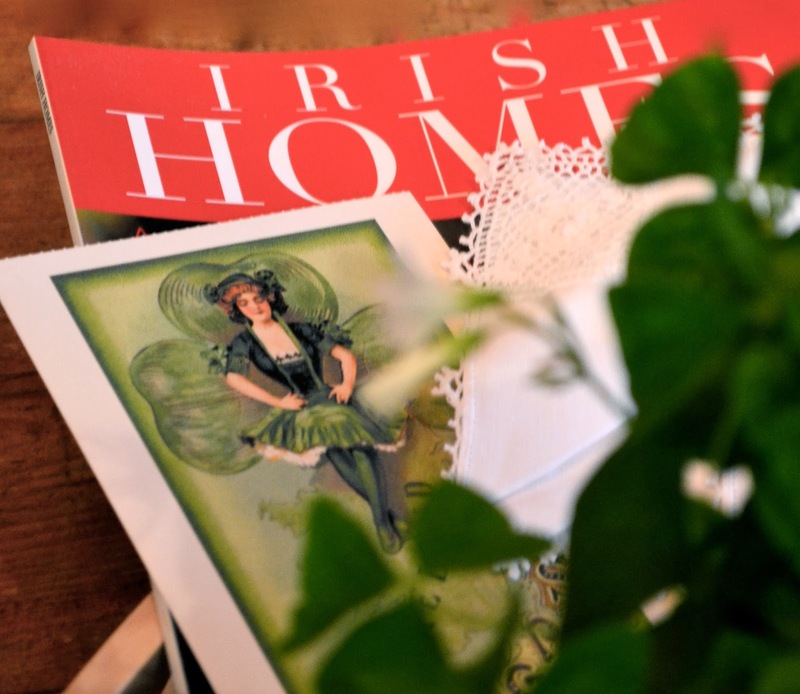 So special to use your linens purchased in Dublin as well as the coasters and recount your memories of the trip. This is so pretty, Emily! Happy St. Paddy's to you as well.